Posted January 20th, 2015 by & filed under Submitted, Third Wheel. 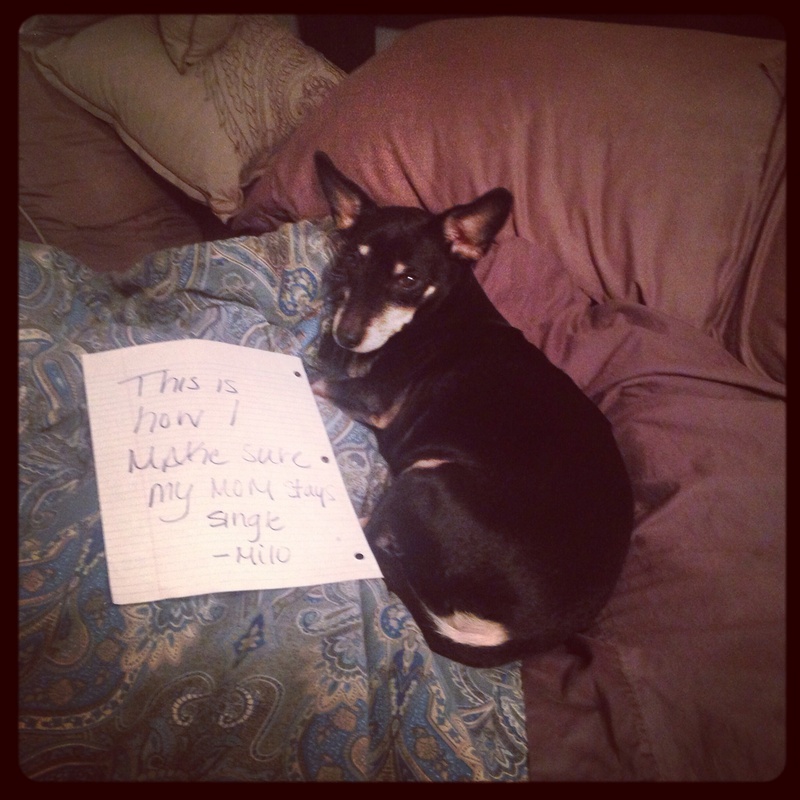 Miles had no shame when it comes to not sharing his side of the bed. He moves for no man. He is doing a great job of making sure his mom stays single. Posted June 11th, 2013 by & filed under Renovation and Redecoration, Submitted. 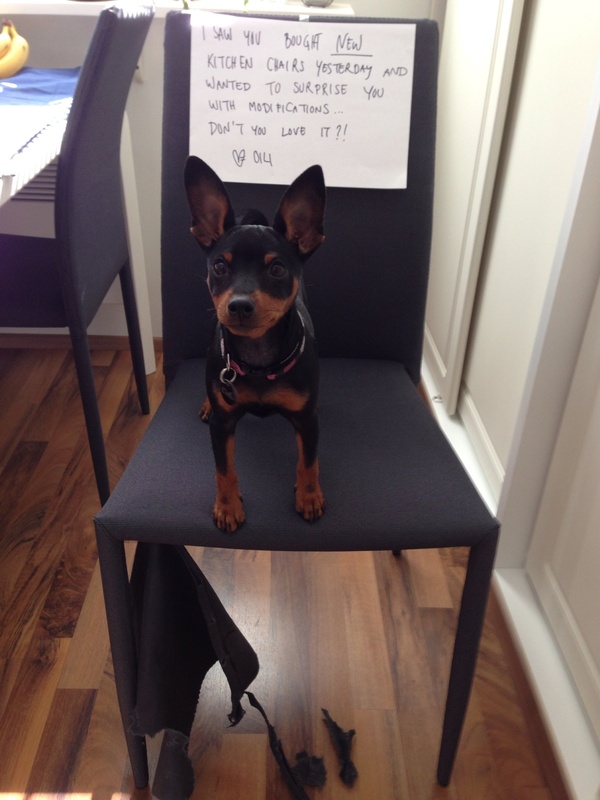 Oili is 3.5 months old Miniature Pinscher and decided to modify the new kitchen chairs I just got the day before. This is the first time she’s been naughty and apparently has no concept of shame. Posted March 30th, 2013 by & filed under Pilfering Pooches, Submitted. 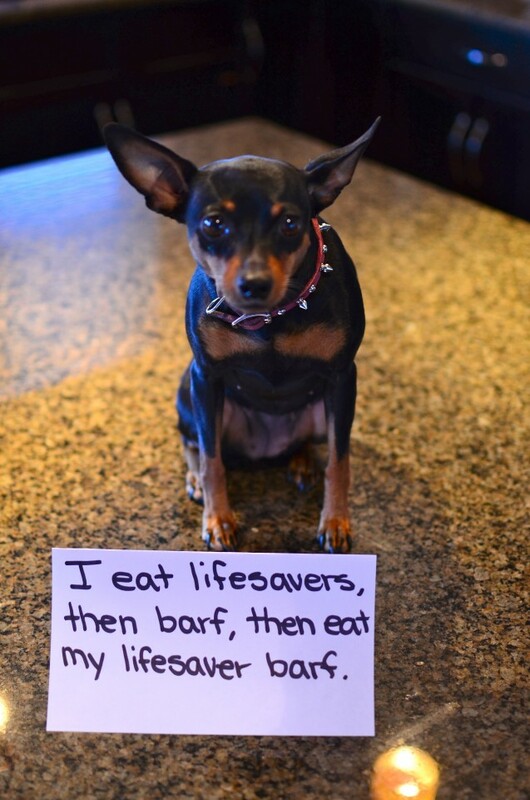 This is Noel is a great little Min Pin but when she isn’t trying to escape our backyard all summer long she is stealing and finding things all over the house, yesterday she found a green lifesaver. Thats when things got messy.